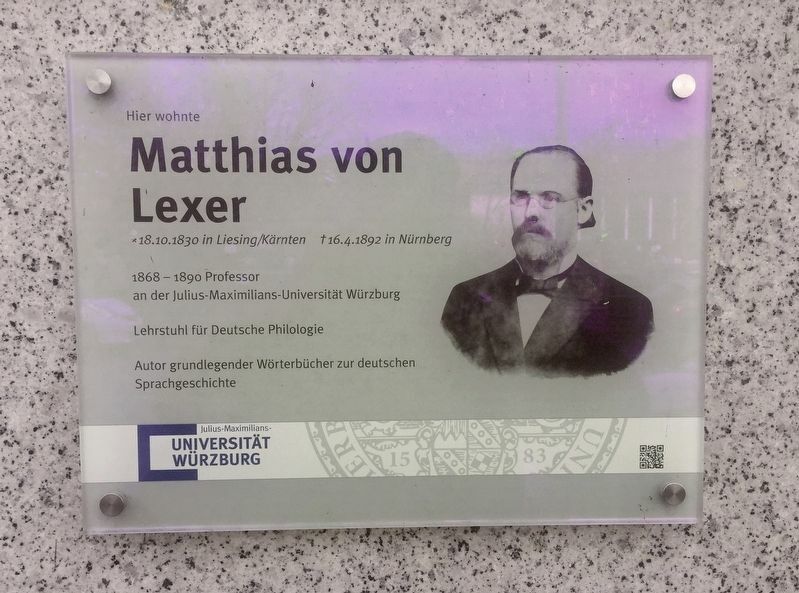 Here lived Matthias von Lexer, born October 18, 1830 in Liesing/Carinthia (Austria), died April 16, 1892 in Nuremburg. 1868-1890 Professor at the Julius-Maximilians-Universität in Würzburg. Chair for German Philology. Author of basic dictionaries for German linguistic history. Location. 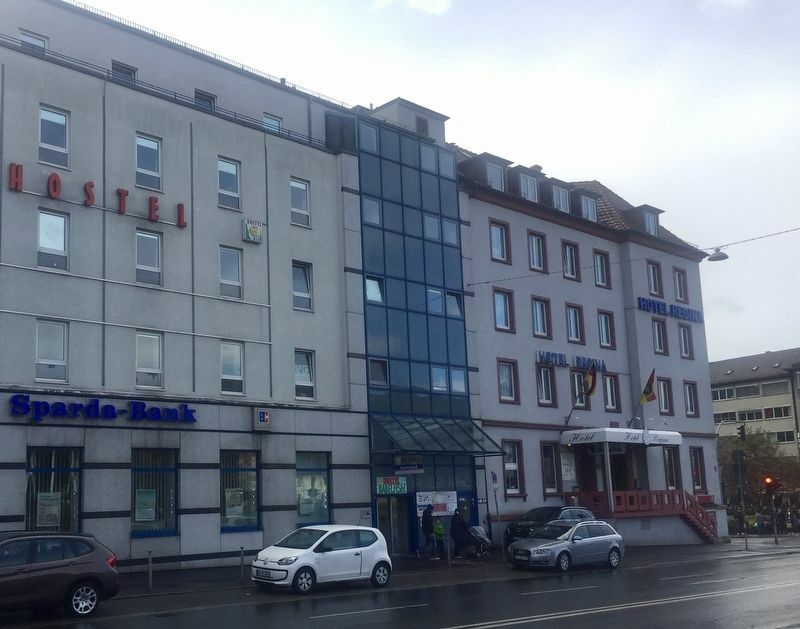 49° 48.006′ N, 9° 56.175′ E. Marker is in Würzburg, Bavaria. Marker is on Haugerring, on the right when traveling east. Touch for map. Marker is at or near this postal address: Haugerring 2, Würzburg, Bavaria 97070, Germany. Touch for directions. The marker is visible to the left of the entrance of the Hostel Babelfish, i.e. above the white car. (about 120 meters away, measured in a direct line); Philipp Franz Von Siebold (about 120 meters away); Wilhelm Röntgen (approx. 0.3 kilometers away); Hermann Müller-Thurgau (approx. 0.3 kilometers away); Hannsheinz Bauer, 1909 - 2005 (approx. 0.3 kilometers away); Theodor Drey (approx. 0.3 kilometers away); Albert von Koelliker (approx. 0.4 kilometers away). Touch for a list and map of all markers in Würzburg. More. Search the internet for Matthias von Lexer. Credits. This page was last revised on March 29, 2019. This page originally submitted on March 29, 2019, by Andrew Ruppenstein of Sacramento, California. This page has been viewed 71 times since then. Photos: 1, 2. submitted on March 29, 2019, by Andrew Ruppenstein of Sacramento, California.